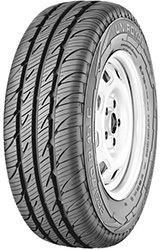 RainMax 2 tyres from Uniroyal are incredibly efficient and this is an appealing factor in itself. While proving to be great value every time, you’ll make even more savings because of the increased fuel efficiency you can enjoy in both wet and dry conditions. As the name implies, RainMax 2 tyres have excellent wet weather performance to support its dry weather handling and driving. Improved braking, water dispersion and stability are all key features you can enjoy with RainMax 2 tyres.